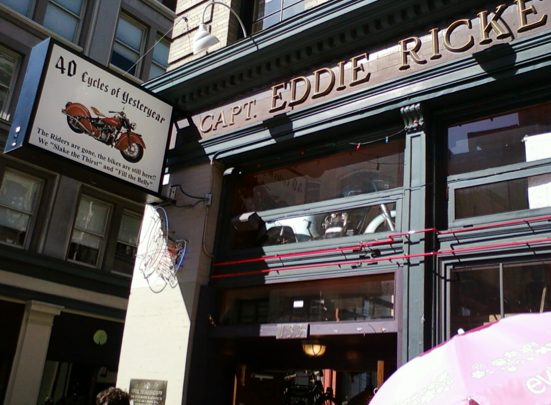 I found myself in the San Francisco Bay Area this weekend, and popped in to Eddie Rickenbacker’s for lunch. I hadn’t been in there since law school almost a decade ago, and forgot how cool the place really is. 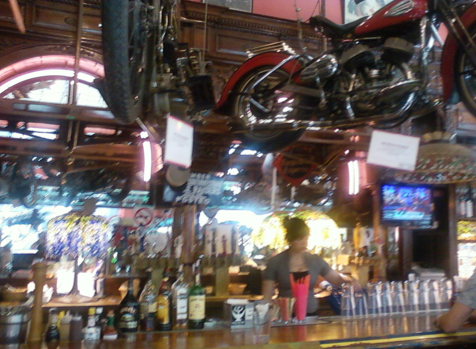 Funny enough, you don’t see a ton of bikers hanging around the place. And I don’t believe that’s because of parking — San Francisco is a pretty biker-friendly town, especially on the motorcycle-parking front. Perhaps it is the location, south of Market Street (or SOMA, as the locals call it) and close to San Francisco’s Financial District. Indeed, most of us seem to prefer getting out of the city to a further-away destination if we are taking a group ride to grab lunch. While the food wasn’t exactly spectacular, the burger I got did hit the spot. 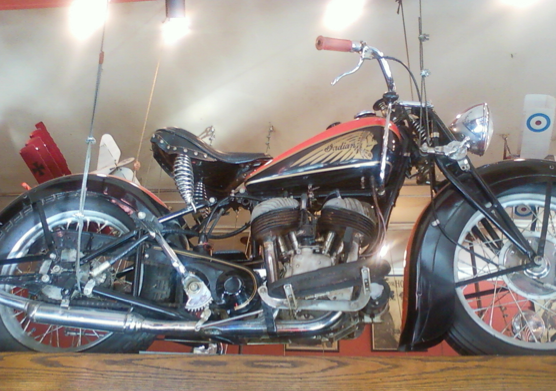 And more importantly, the place is like a small motorcycle museum, only most of the exhibits are hanging from the ceiling instead of sitting on the floor. 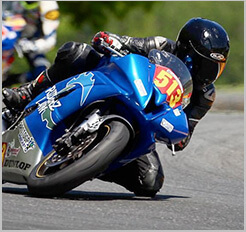 Named after Captain Eddie Rickenbacker, a WWI-Ace turned race-car driver and automobile designer, the cafe is overflowing with classic motorcycles, ranging in date from just after the turn of the century (the ol’ “bicycle-with-an-engine” variety) all the way up to 1980. Most seemed to be from the 1910s-1950s, with a heavy emphasis on old Indians. 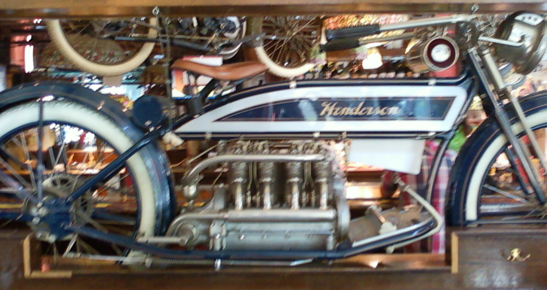 Some more obscure motorcycle brands graced the establishment as well, including a teens-era, in-line-four Henderson Motorcycle.